An in-depth look at the life and career of retired judge and conflict-of-interest commissioner Ted Hughes, whose unflinching integrity earned him the reputation as Canada’s moral compass. 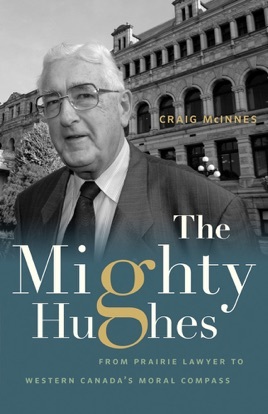 Throughout his sixty-year career, Ted Hughes has been a model of ethical conduct in the Canadian judicial system. The son of immigrant homesteaders who grew up in Saskatoon during the Depression, he might have retired as a respected senior judge in the town where he was born had his career not been sideswiped by the intense party politics underpinning Canadian judicial appointments in the 1970s. The injustice he felt led him to BC, where he reinvented himself as a civil servant in a province that was earning a reputation for wacky, unprincipled politics. There, he became Canada’s moral compass, a man of such integrity that his condemnation alone persuaded one premier to resign and another to bring in a watchdog to look after vulnerable children. Hughes has ferociously defended the principles that underpin the best of our society. He has an unfashionable belief in the virtue of the law, the nobility and responsibility of public service, and the honour of politicians and politics. He was an early defender of equal rights for women in the legal system, the protection of children in care, and in recognizing the disastrous effect of colonization on First Nations. This is the story of his remarkable life and how he became the lion Canadians needed him to be in when the credibility of our political system was on the line.